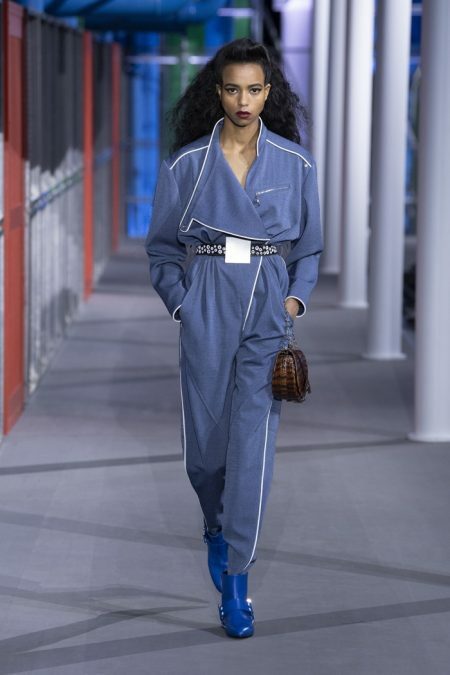 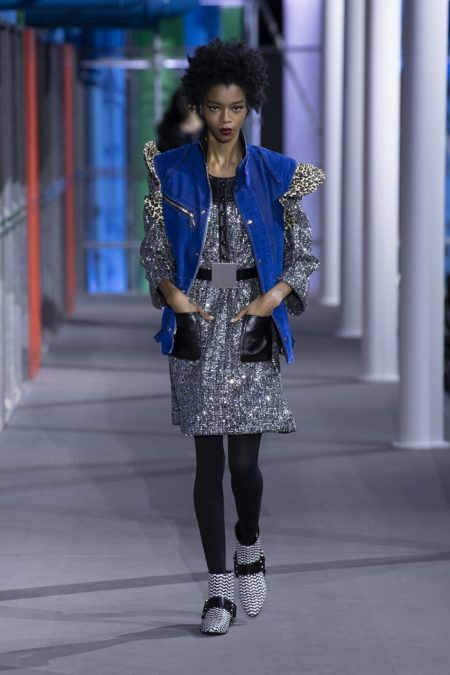 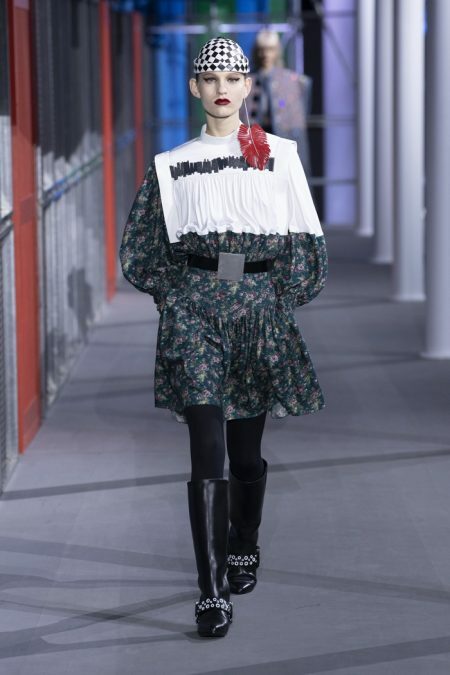 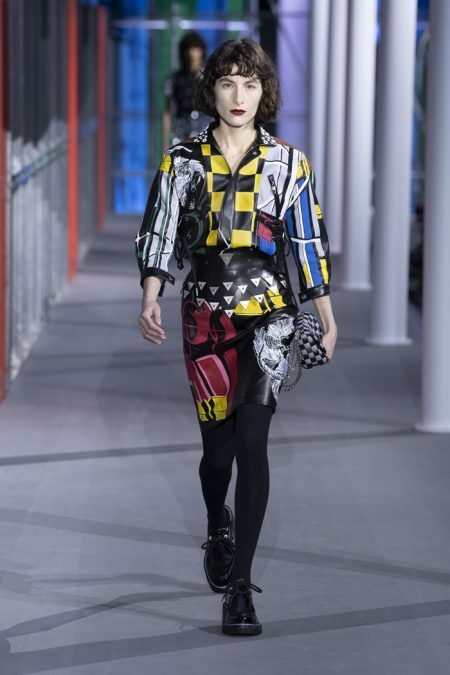 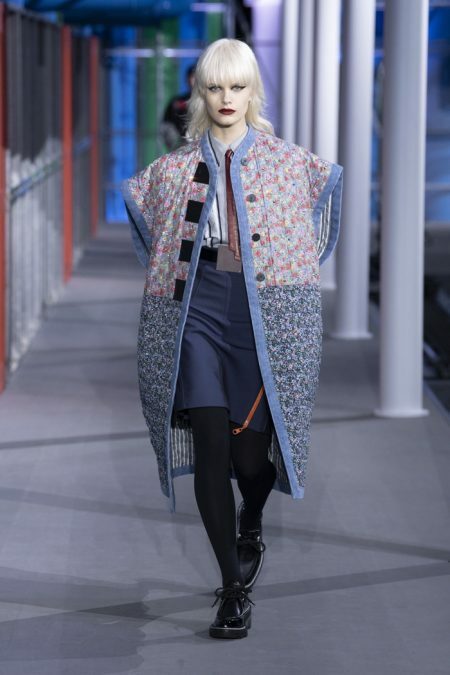 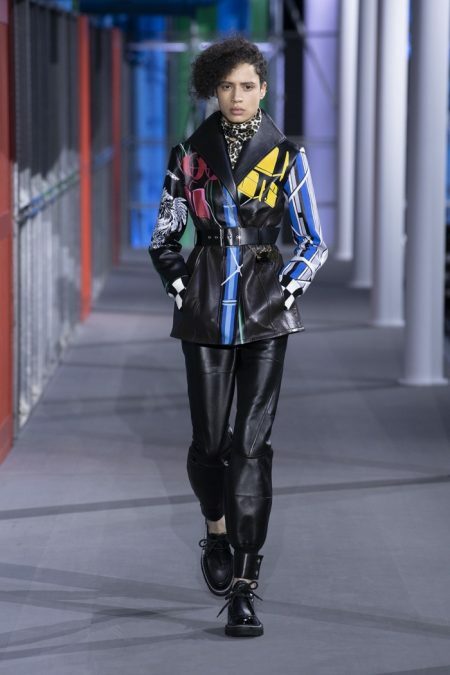 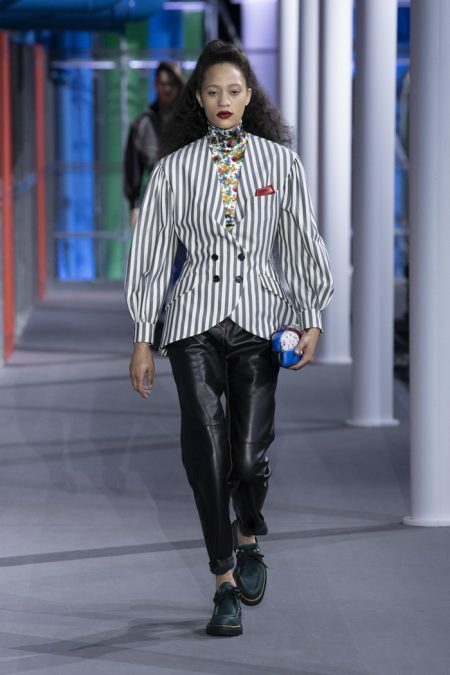 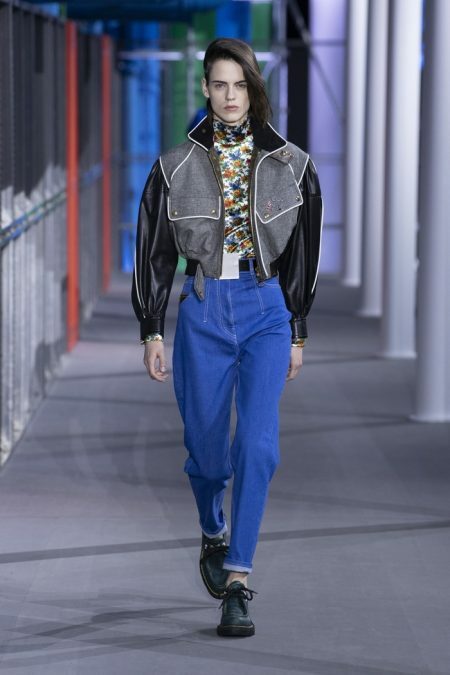 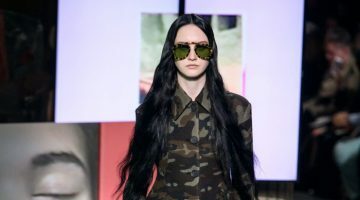 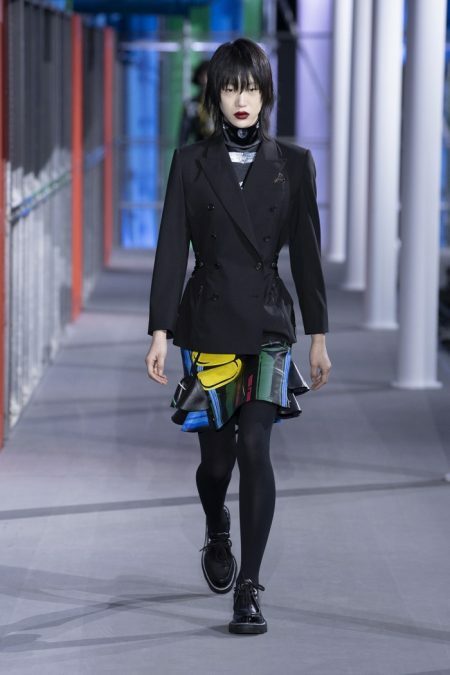 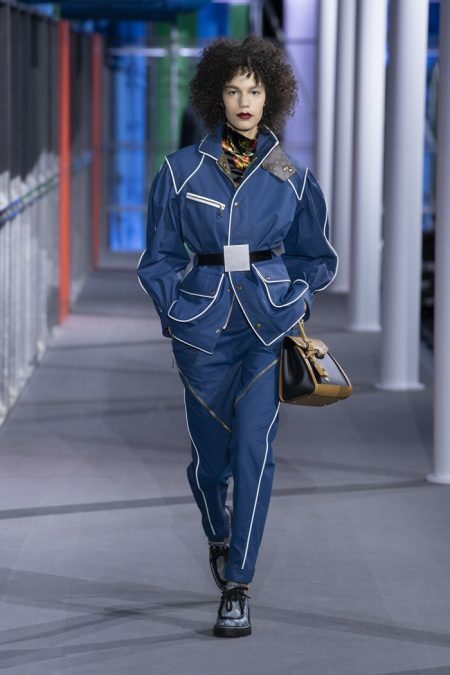 Louis Vuitton artistic director Nicolas Ghesquière channels an eclectic vibe for the French brand’s fall-winter 2019 collection. 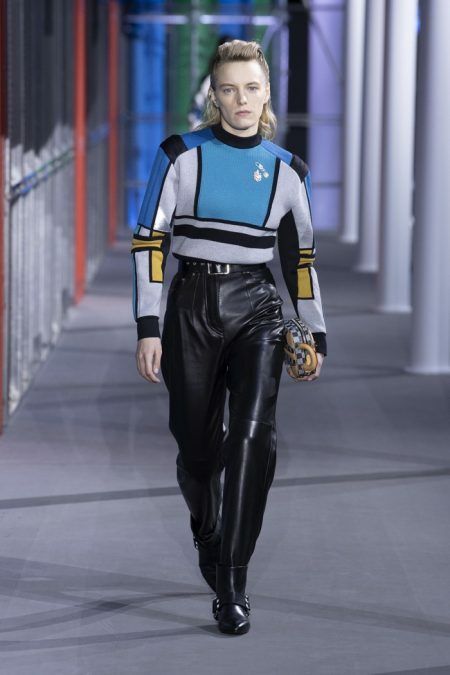 Presented during the final day of Paris Fashion Week, the runway show delivers 1980’s inspired silhouettes with a futuristic twist. 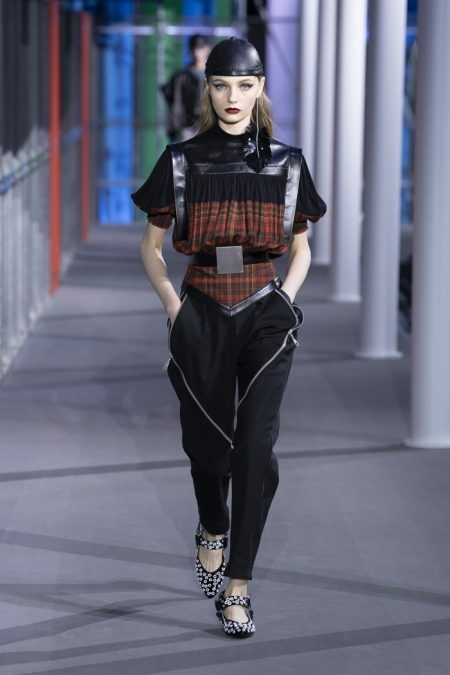 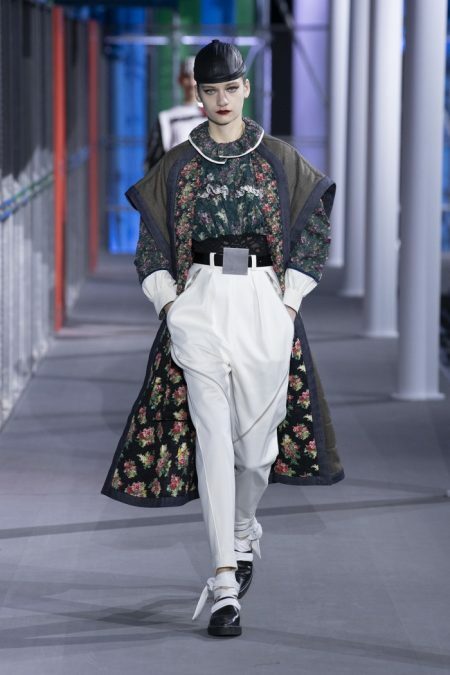 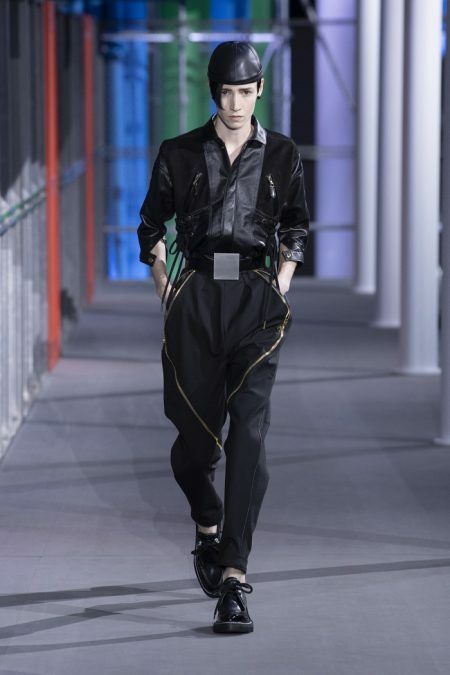 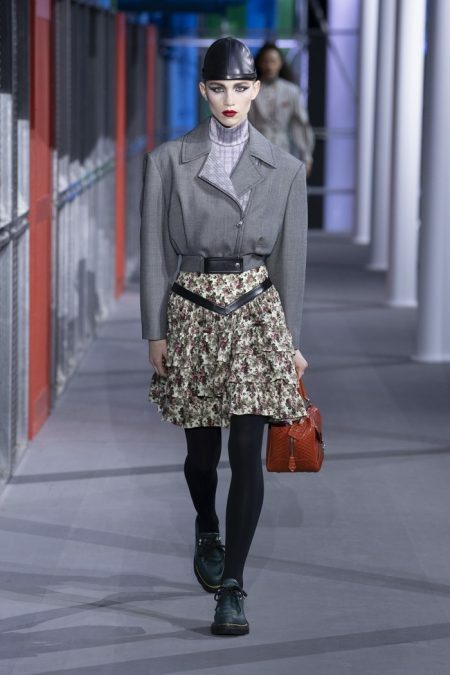 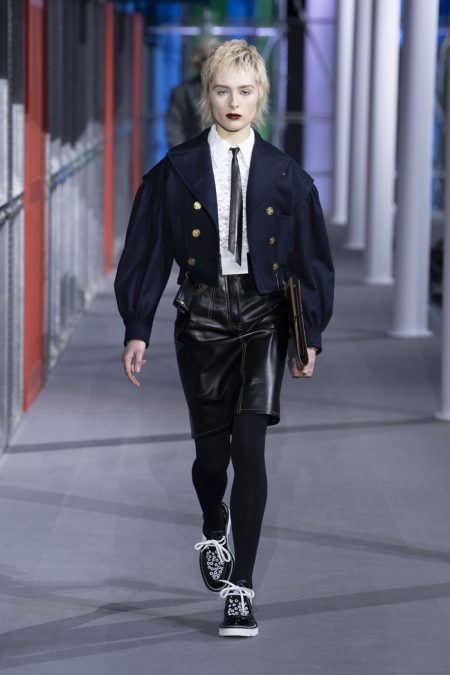 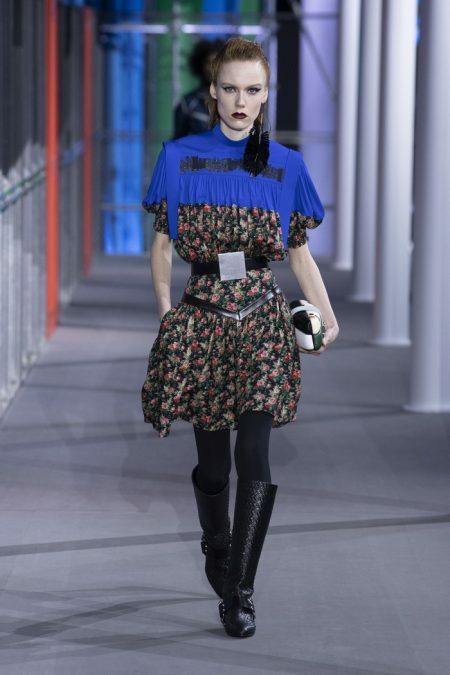 Inspired by The Centre Pompidou Museum in Paris, Ghesquière pays tribute to the juxtaposition of the old with the new. 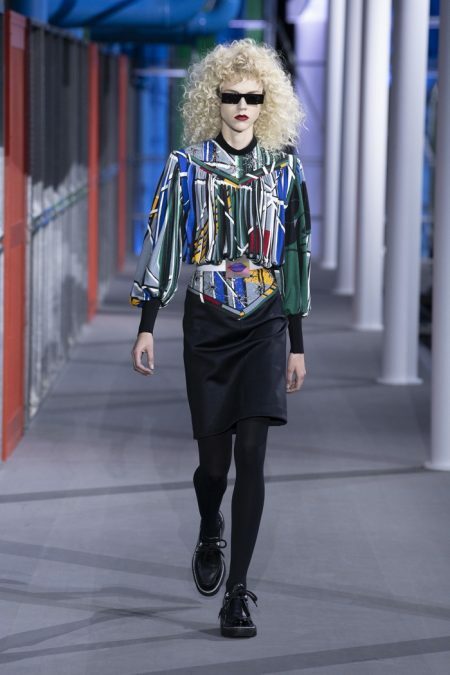 The designer says about the Centre Pompidou and nearby area: “[it’s] a fascinating incubator of a neighborhood. 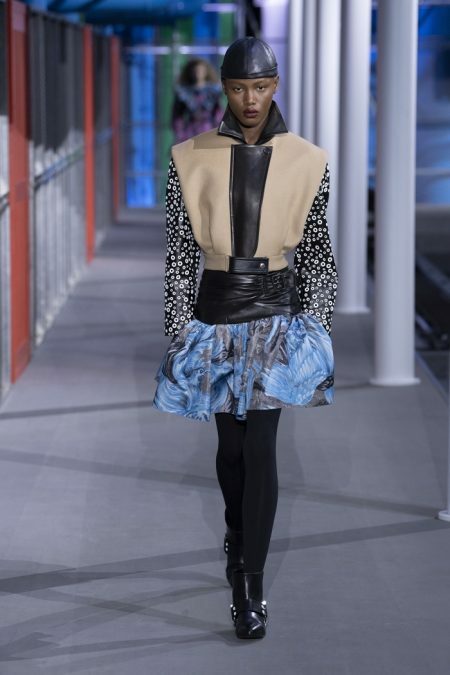 An incredible mélange, converging in the epicenter. 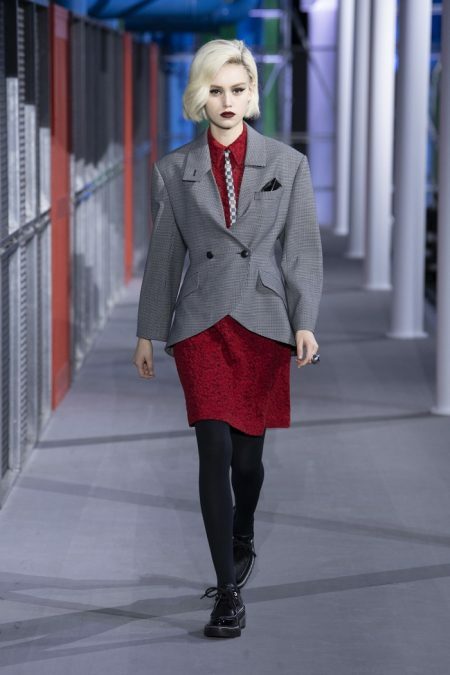 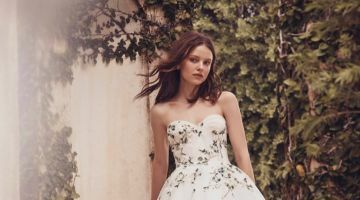 The cliques, the styles, the life… I love that impression of a sartorial melting pot. 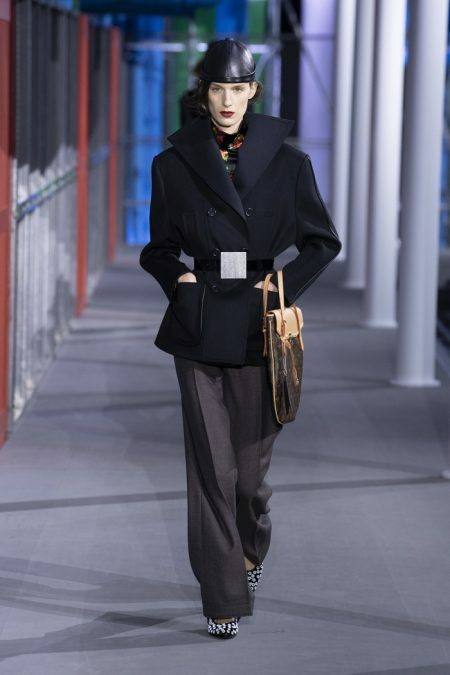 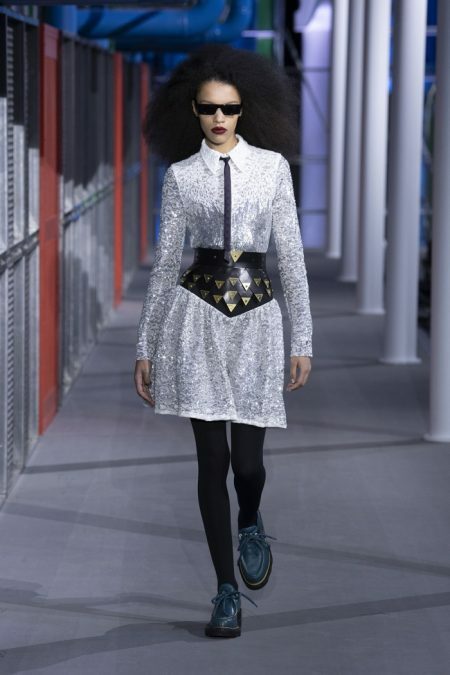 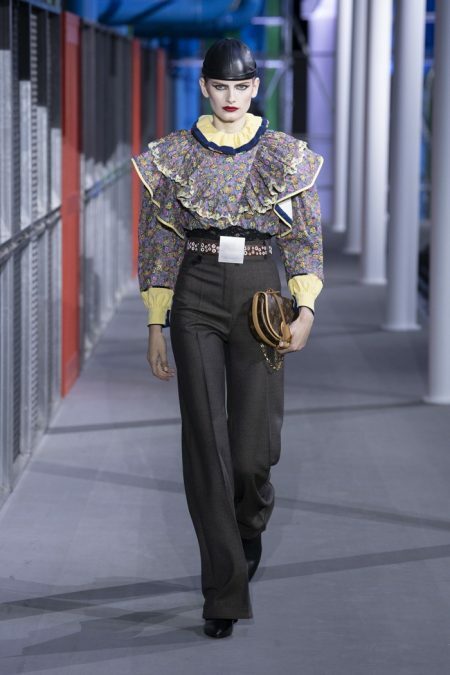 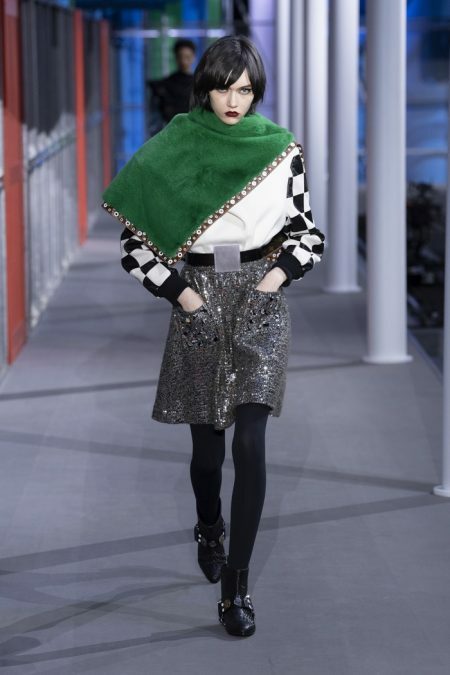 Today, I’ve transposed it at Louis Vuitton: a House of multiple expressions.” Strong shoulders with belted waists and flared skirts balance the hard and the soft. 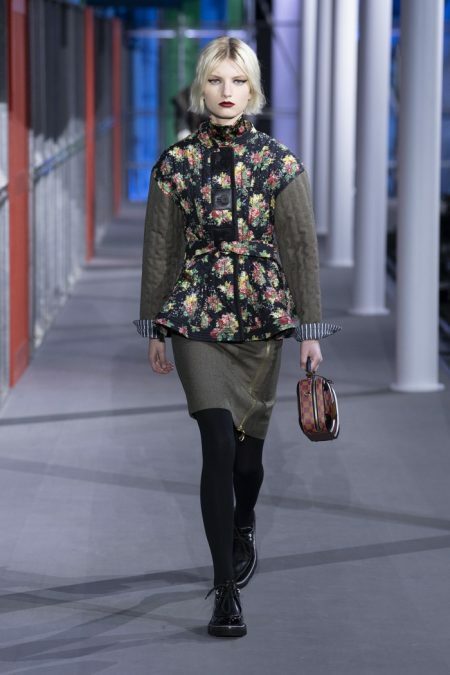 Prints include floral patterns, graphic checkers and plaid. 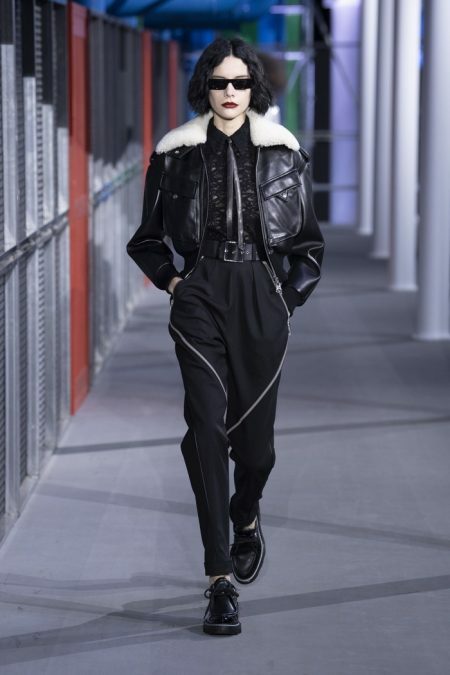 Cropped bomber jackets as well as tailored coats offer chic layers for autumn.